It’s one of the most important aspects of owning a website: Managing clarity. Can you with absolute certainty say that people, as well as search engines, understand your website’s purpose, layout, and value? SEO is a buzz word in website talk these days. What is one of the central themes of SEO? Search engine crawlers want to know you provide visitors with a quality experience, but also a clear answer to the queries they typed into the search bar. Like we said: Clarity. You can work hard on using keywords or improving content, but here’s a topic not given enough attention: Sitemaps. It can be a visual representation as well, but in an .xml file it contains the information in XHTML (Extensible Hyper Text Mark up Language). It represents the URLs of all your pages, with details about each. This communicates to crawlers what they want to know when looking for quality pages to show online users. 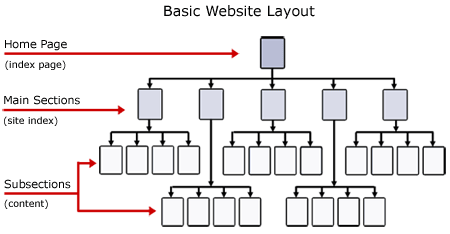 A sitemap is a representation of your website’s pages. While they’re very similar, they do differ. The .xml version is created with the more advanced programming language and is focused on giving search engine crawlers in-depth information about your site. You’ll be able to add details in a customized fashion, not easily done with HTML. as the latter uses predefined tags. 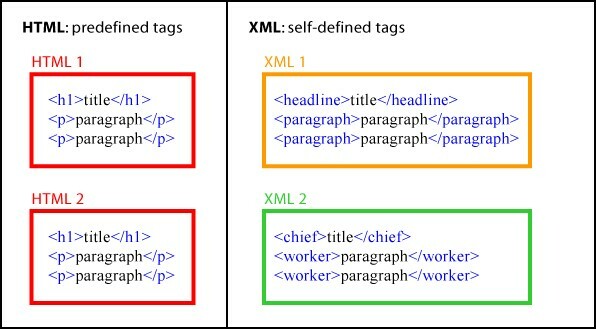 With .xml you can add details such as the importance of pages, when they were updated and more. Those details are SEO oriented and practical solutions to impressing search engine crawlers. The .html sitemap is created more for your human visitors’ sakes. This page basically just links to all your pages. It’s a quick reference guide to help people navigate your website if they’re unsure what you have to offer. So do you need one of them or both? Preferably both. As stated, clarity is valuable and the more information you provide to browsers & search engine crawlers, the better. Why Do You Need Sitemap.xml? When you have a new website it’s necessary to boost your SEO as quickly as possible. A sitemap helps crawlers to quickly identify your pages’ value so you can get ranked. When you have a website with many pages you may want to promote certain ones. A sitemap.xml will ensure Google notices the most important ones, as you can label them accordingly. You may have a lot of content, without a lot of links. Links are very important for SEO, but submitting a sitemap will show search engines what you’re all about so you don’t get penalized too much for a lack of links. It’s also beneficial if your pages contain a lot of media. If you want Google to notice you more often because you’re devoted to adding new content often, this method works. Because a sitemap.xml tells search engines how often you update content, you’ll experience increased crawling to those updated pages. The search engines will check whether your latest information is worth sharing as new content is extremely valuable to their operation. Chances are your website falls in at least one of these categories, meaning you shouldn’t ignore this task. Does it seem a bit daunting? After all, you’re probably not an expert software or website developer. 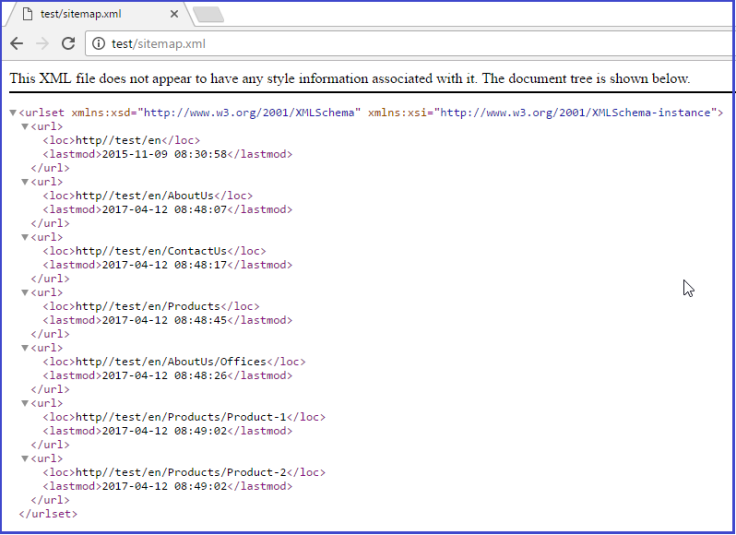 Don’t fear—It’s simpler to create your own sitemap.xml than you think. You don’t have to pay someone to get this right. We’ll guide you through it. Luckily you live in an age where there’s an app for almost anything. There’s no reason not to try this method if you’re a newbie. They may simply have limitations on aspects such as the number of pages. You’ll find free and paid for sitemap services, so anyone can access this service. You can even go to the back end of your website and check for the feature in your CMS (Content Management System). Platforms such as WordPress offer this to their users. Make sure the app or CMS’ settings are appropriate. Apart from making a .xml file, you should also consider specialized options for a focus on mobile, sharing news or if you use a lot of videos. A specialized sitemap will support unique content formats. These automated steps are easy to follow, with each app having its own methods. Your app should give you a URL to your sitemap—simply add it to submit it. Search engines understand the importance of sitemaps and they help them to improve their service too. 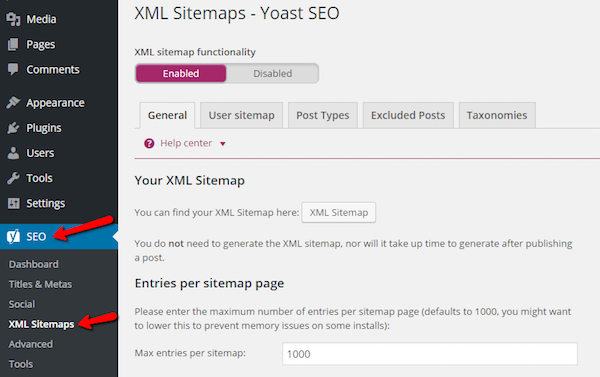 Therefore you’ll find buttons to submit your sitemap when you access Webmaster Tools. Don’t be overwhelmed by doing this the manual way. The benefits it brings by customizing your sitemap is worth the extra effort. A sitemap can be designed in a simple text editor such as Notepad. The framework is easy as you’ll find sitemap templates online. The templates provide space for entering each of your pages’ URLs. Simply navigate to each of your pages and add the links where you find the <loc> description. The template may have limited spaces, but you can simply Copy and Paste the relevant part of the template until you have enough space to enter & describe all your pages. <lastmod>: When the file was last modified. Add this date in YYYY-MM-DD format. <changefreq>: Describe how often the page will probably change, so crawlers know to take notice. This can be descriptions such as ‘always’, ‘hourly’, ‘yearly’ etc. <priority>: Give your page a value between 0.0 and 0.1 in terms of importance, compared to your other pages. Tell search engines where you prefer visitors to land. If two of your pages are relevant to a search query, crawlers will know which one to showcase. This isn’t an ordinary text file; It must be saved as a .xml file. As stated above search engines provide you with the means of submitting your sitemap. You first upload it to your web server—in the root folder—to obtain a URL, such as: www.yourwebsitename.com/sitemap.xml. The URL will be used to submit it to search engines via Webmaster Tools. Step by step you’re making your website more alluring for search engine crawlers. As the quality and intent of your website become clearer, your sitemap.xml will help you rank, which is what we’re all after, right? Digital Marketing Singapore (DMS) provide online marketing services which include: SEO, SEM, Social Media Marketing, Retargeting.